Yes I'm a Jack Russell owner. These are dogs that are easy to love. They're clever, curious, naughty and have real personality. If you can cope with their energy and tendency to get into trouble you are usually hooked. 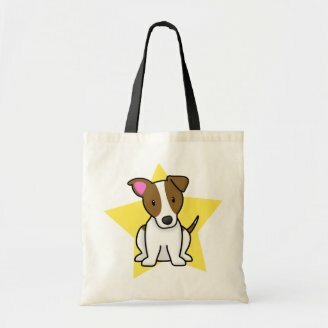 This means if your Mom has a Jack Russell she will love something Jack Russell-ish for Mother's Day. But if you don't own a Jack Russell yourself you might be wondering what to give her. This is my Jack Russell getting her nose into things that she shouldn't be. Jack Russell dogs are very curious. It's one of the reasons they get into so much trouble. They just have to have their nose in there checking things out. 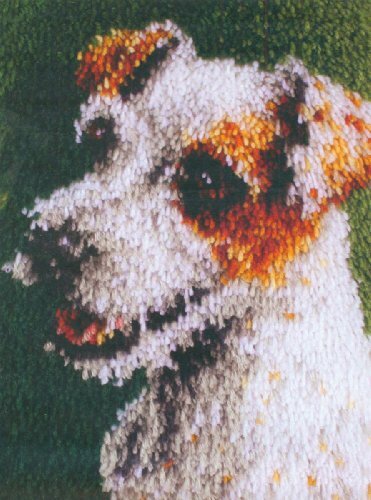 If you can capture this great personality of a Jack Russell in your gift choice it will be a hit. A good way is to think of the words that are associated with Jack Russell dogs. Things like intelligence, curiosity, cleverness, energetic, mischievous, naughty, bright-eyed, loyal, lovable, friendly, cute and cuddly. 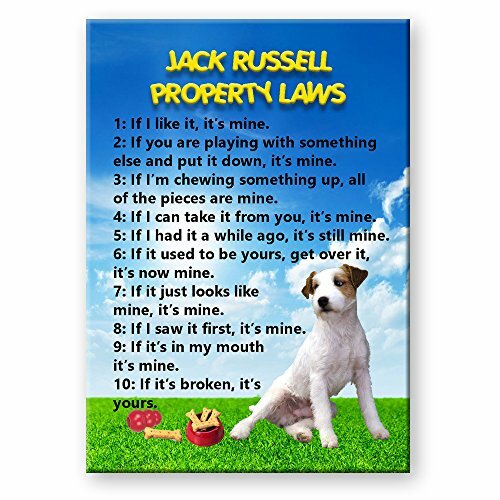 The Jack Russell Property Laws is 100% like the Jack Russell personality. It sums them up perfectly and always give owners a chuckle. The MWAH Salk and Pepper Shakers show their habit of sticking their noses everywhere, their loving nature and their cuteness. The great thing with these gifts too is that they are cheap enough for kids to buy for Mom for Mother's Day too. And if you aren't in the "know" yet JRT is short for Jack Russell Terrier. If you've ever watched the TV series Frasier you'll probably know about the Jack Russell "Eddie" and his habit of staring at Frasier. Do Jack Russell dogs really do this? Yes they do! Actually the antics that Eddie gets up to in this series is very true of a Jack Russell. So much so I think one of the script writers has a Jack Russell at home. In this picture my dog is stealing figs off our tree. She loves them. The trouble is she likes to bury and eat them after they have fermented. This sort of mischievous behavior can be captured with bigger gifts like garden statues and figurines. The Digging Dog garden statue is a fun gift that shows how mischievous these little dogs can be. It also shows their talent for getting into trouble (not just into the figs). This drives their owners a little nuts at times. But that cuteness makes it hard to growl at them sometimes. 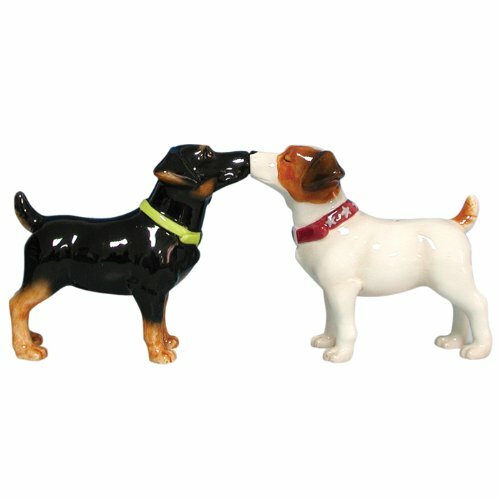 The Puppy Figurine shows a Jack Russell sitting with it's head tilted to one side. This is exactly what Jack Russell dogs do when they are listening intently or wondering what you are doing. It's a gorgeous trait that always makes me chuckle when my dog does it. And she does it a lot. 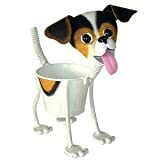 As you can see the trick for buying a gift like this for Mother's Day is to capture the character of the Jack Russell in your gift. Not to just buy anything that is Jack Russell related. My mother and Jack Russell had a race to get the last fig on the tree last year. My JRT got there first of course. After numerous failed attempts to pick it she took a big bite then spun around with a "do you REALLY want it now" look on her face. She was allowed to keep the fig. 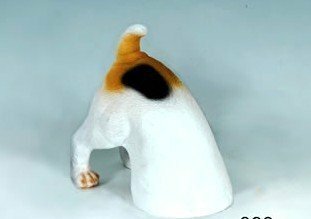 Here's another cute item showing a Jack Russell with it's head tilted to the side. It's either listening to its owner. Eavesdropping on its owner (yes my dog will eavesdrop on conversations and it's scary how much she actually understands). Or it's thinking what on earth ARE you doing? A great gift for any Mom who loves her Jack Russell dog and her garden. My dog has been seen picking herself a bunch of flowers and dumping them near her bed. It seems she likes a bit of floral decoration. She also likes to pick sprigs of rosemary from our bush and pop them in her bed. Any Jack Russell dog owner knows these dogs should really come with a guide. You have to work hard to stay a step ahead of them. They are constantly trying to out-smart their owners. They are complex little dogs. I was going to say little personalities but that's not correct. Little dog. BIG personality. 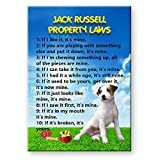 This means a good book about understanding Jack Russell dogs like The Essential Jack Russell Terrier can be not only interesting but also helpful for you Mom to keep her dog in line. 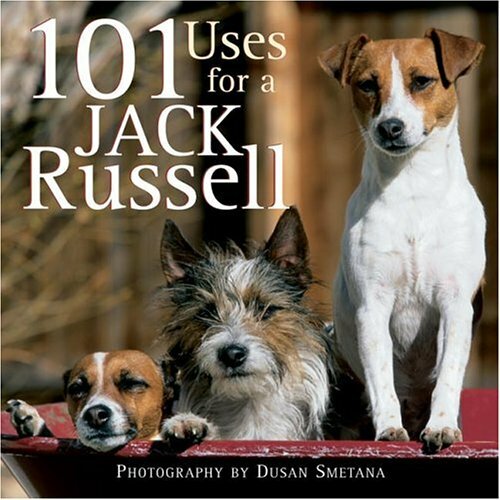 Or you can get a more humorous book like 101 Uses for a Jack Russell for Mother's Day. 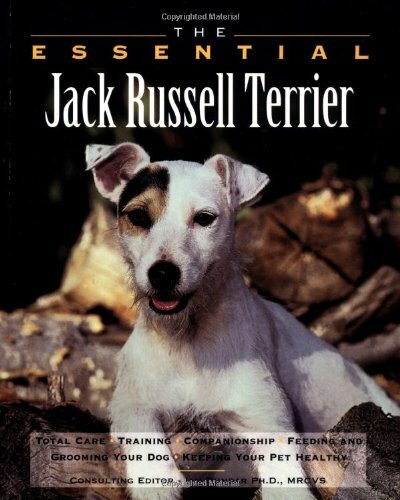 This is an entertaining book that captures the personality of Jack Russell dogs. It's a nice book to relax and have a few chuckles with. I still wonder if my dog is normal sometimes. I once looked out to find she had neatly placed a piece of apple on her plate and her bone in her water like a swizzle stick. Cocktail hour Jack Russell style. Normal? I think it's normal for a Jack Russell. You'll notice the flower pots around her bed in this picture too. That's her choice. She has a full blown doggy tantrum if we move them away from her bed. As I said she likes a bit of floral decoration. 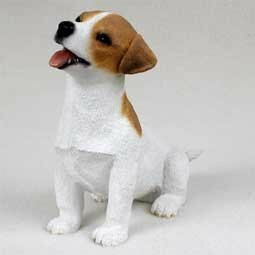 You'll see the Jack Russell in this craft project has it's head tilted to one side too. (See I told you it was a Jack Russell thing to do - and a very cute Jack Russell thing.) So this is also another gift that shows that JRT personality. Because as a Jack Russell owner I know that personality is everything. Yes that head tilt appears again in this carry bag. This is a handy gift to give Mom on Mother's Day. But it also has the personality I was talking about. it's not just about the head tilt with this gift either. That star says it all. Jack Russell dogs do have a star like quality. Big personalities, Napoleon complexes - and I mean that in the nicest possible way. (If you don't know what I mean by this it's the way Jack Russell dogs no matter how small think they're big dogs.) Plus they're a star in their own home too of course. Sweet page - well done. I love dogs too.